If you take my long term passion for writing and add it to my long term passion for checking out everything the world has to offer, you get me writing for WeekendNotes. There is nothing like finding a great pub that you can comfortably watch the footy, with a great atmosphere and some food doesn't go astray either. Something other than Carlton Draught on tap. 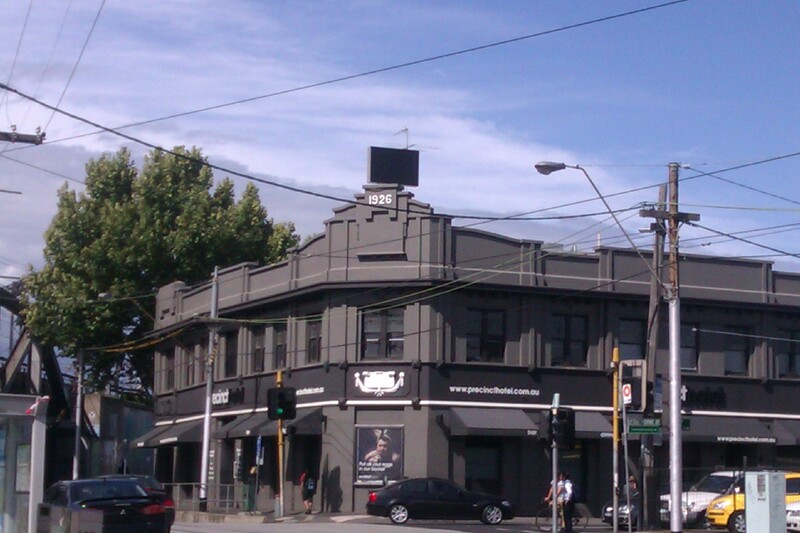 So where are the best places to watch the footy? Ticks on every count. The pub has multiple TV screens so you can see the game from every angle, as well as out in the beer garden and have plans to add more TVs. The bar staff are friendly and flexible in putting on whatever their patrons want. The food here is a winner. They have in excess of 20 different types of $3 pizzas (at that price, any day of the week). There's also a selection of gourmet pizzas for $9.50. The rest of the menu is a nice balance of traditional pub grub and some different options such as stone grilled jumbo garlic mushrooms with mains ranging between $10 to $30 as well as a good selection of appetisers, salads and sides. As for drinks, they have your local favourites, as well as my favourite, Fat Yak on tap, and have a small collection of imported and local beers by the bottle. Very friendly staff and patrons - as soon as they see you enter the room looking a little lost, they are all too happy to come and say hello. They even offered to give a tour of the pub and to switch the TV channel to whatever we wanted to watch. 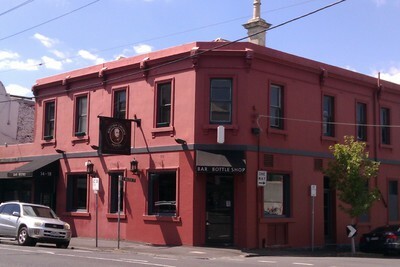 [ADVERT]The front bar is fun and bubbly with the regulars and two TV screens. Outside is enchanted with fairy lights draping across ledges and twirled around trees and vines running across rafters. The roof is retractable in case of nice or poor weather. The outside area has TVs at either end. 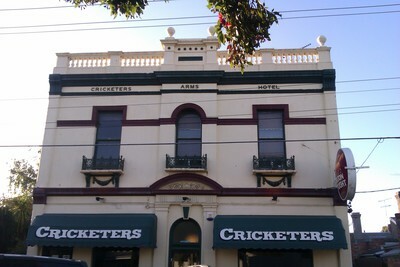 The food at The Cricketers Arms have smaller bites from $5 to $20 and mains consist of some pub favourites with an added touch of class and range between $15 to $30. As for drinks, they have a decent wine range and the beers and ciders are the usual suspects like Carlton Draught and Bulmers with not too much to get excited about with the exception of having Fat Yak on tap. 3. 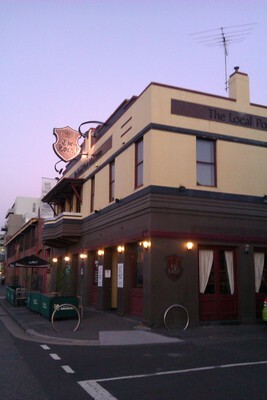 The Local – 22-24 Bay St, Port Melbourne. This is one comfy feel at home type of pub decorated with chesterfield couches, booths for dining, warm timber doors and framings around the room. There is a U shaped bar with four large TV screens strategically placed around the room so you can see at least one of them from every angle, not to mention each booth had its own smaller TV mounted on the wall at the end of the table. There are a handful of common beers on tap and bottled. Nothing too interesting in the beer department. 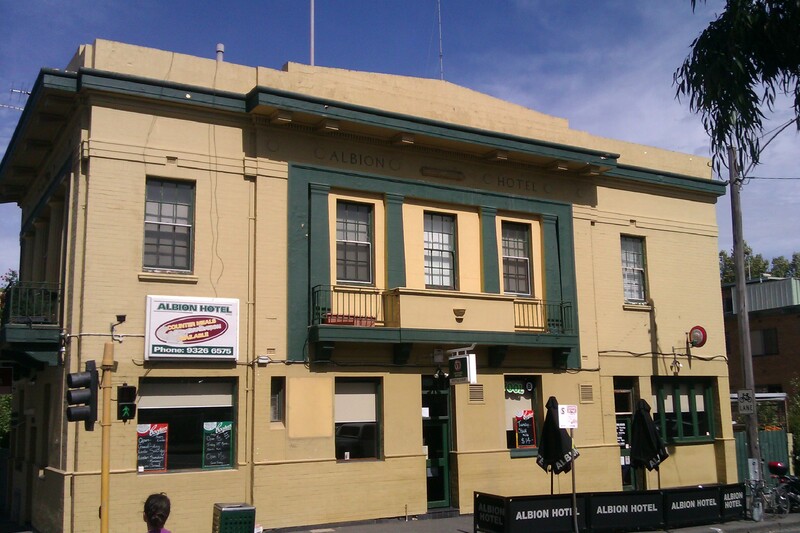 There is a good variety on the menu for a casual pub meal and reasonably priced. The Limerick has TVs in every direction you look and as I stood at the bar thinking about my beverage selection I counted 5 large plasmas around the place. It has an inviting feel to it and you don't have to worry about missing a goal when you go to get a drink as you can continue to see all the action throughout the pub. There is a comprehensive food menu ranging from small, medium, large plus sharing platters all under $30. The food ranges from pork belly to kangaroo to burgers and to a pub must have, the parma. There are a decent amount of beers on tap and you can find your good old regulars in bottles and the wine list is well stocked. 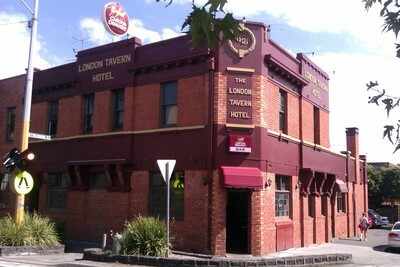 This quaint pub full of character is located down the tree lined Napier street in Fitzroy and has 3 separate rooms all with TVs plus a large TV in the main bar. The whole pub is decorated with footy paraphernalia which screams out awesome place to watch the footy. The mains are all under $20 and consist of the usuals plus nana's home made roast. There are plenty of bar snacks to get you through a footy match, such as the ultra salty, ultra peppery but ultra good calamari with aioli. There is a good mix of wine and beers including Brunswick Lager on tap, which is very popular at the moment. 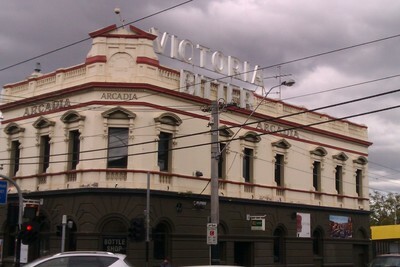 Arguably as close as the Richmond pubs to the G, the Arcadia is often overlooked as one of Melbourne's best footy pubs. Depending on what game you are watching on a Sunday afternoon, you may be lucky enough to virtually have the TV and very comfy couches to yourself. There are four TV screens here and the staff will put on what the crowd wants to watch. 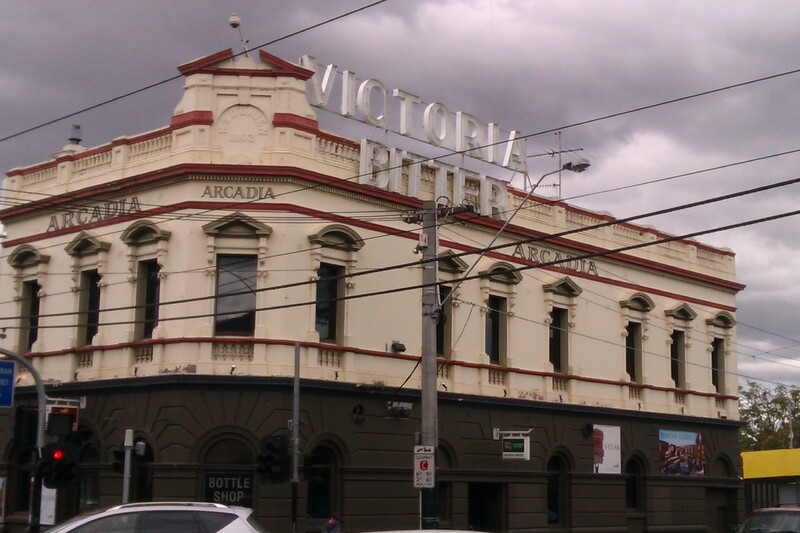 The Arcadia has now added food to their repertoire and boasts a serious pub grub menu with all your favourites, ranging from $10 to $16 for light snacks and $14 to $26 for mains. There is also a good range of pizzas for under $10. There is the usual mix of imported and local beers. Generally if you have a pub in Richmond it's going to be abreast of what is going on in the sporting world. The former Depot has cleaned up its act and now calls itself the Precinct and is a totally different pub. Its new, its clean, its set out well with a number of tall tables for smaller groups and longer tables for big groups and has a well engineered beer garden with retractable roof, heaters and designed to feel the breeze in summer. 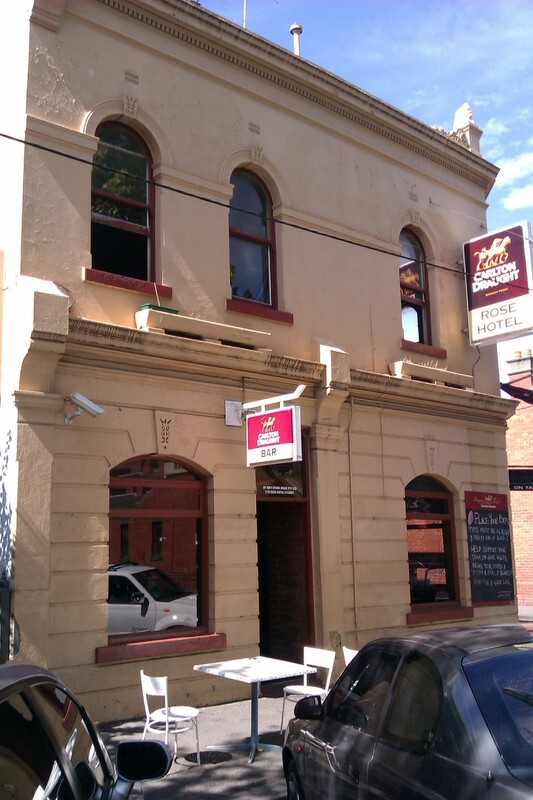 The Precinct has four TV screens strategically plotted around the pub. 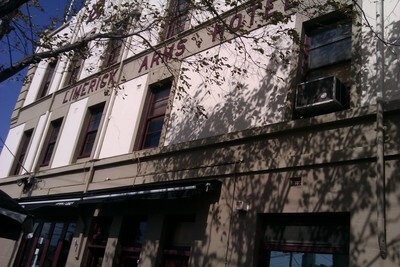 The food is good but a little more expensive with starters around $15 and mains ranging from $18 to $40. There is a small amount of pub grub and there is a world of variety in the menu in terms of cuisine with mixed Asian, Mexican, Italian, Greek and Turkish. A mix of around 15 beers on tap and bottled, some local and some international. There's a sports bar at the front of the pub but this isn't my favourite place to watch the footy at the London, the best place is in their undercover beer garden. It has a relaxed atmosphere. The meals are good value and have a lot of variety from curries to meat pies. There is a fair list of beers but they have played it safe with most of them. Out of all pubs listed this is the most "local" of them all. It's simple; it's parma, it's footy, it's friendly, it's basic tables and chairs and a TV, it's no frills, in fact they don't even have a website as I'm sure they would like to keep it more local than over commercialised and bursting at the seams. Great footy pub. 10. 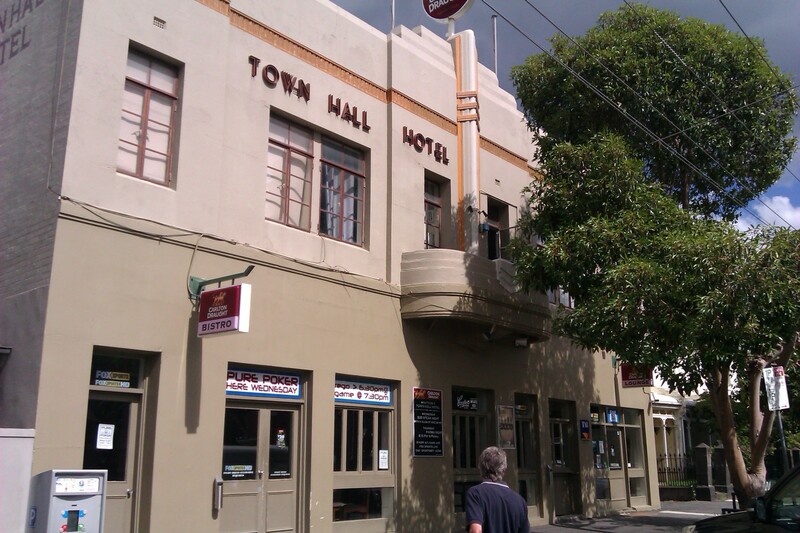 The Town Hall 137 Bank st, South Melbourne. 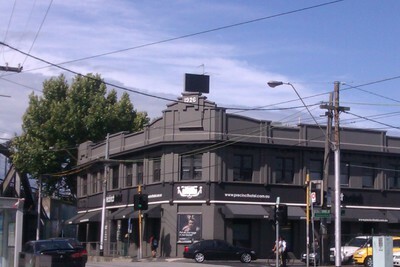 This pub feels as though its purpose in life was to offer patrons somewhere to come and watch sports and drink beer. The locals love coming in for a chat with the friendly bar staff, although I did feel I was encroaching on local territory initially, but after a couple of beers we were all friends. There's a sports lounge with a pool table and 2 large TVs and a TV in the main bar which you can seat yourself around the rectangular bar and has a TAB for putting your bets on. Apart from the closed off dining area, there are many tables and chairs scattered throughout the bar, as well as alfresco dining out the front of the pub and out the back. The pub is only open for dinner for food and you can expect a fairly simple style of pub grub at affordable prices between $15 and $25 for a main. The beer and wine changes regularly, but you can get your old favourites on tap or something different like a Kosciuszko pale ale. Have you got a favourite footy pub that you would like to share? Then leave a comment and let us know. Check out the AFL broadcast guide to see when your team is being televised.